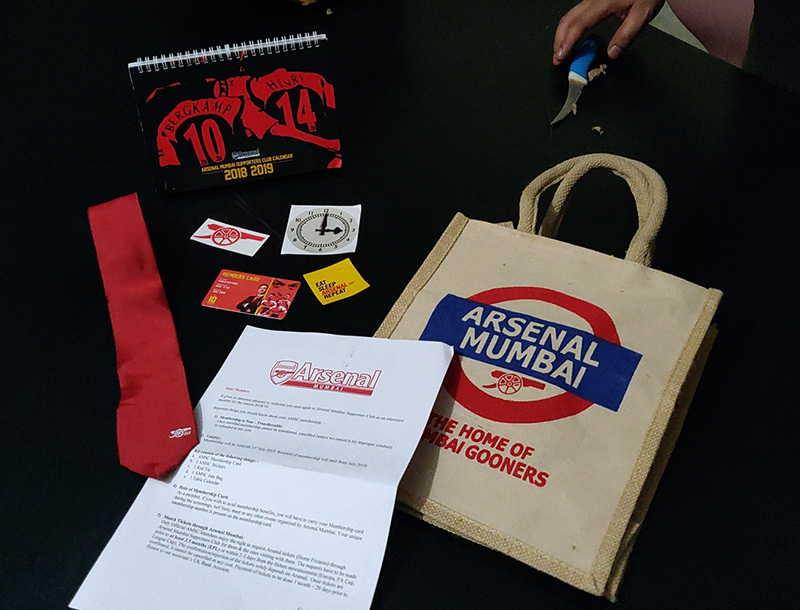 Yesterday I received my annual AMSC (Arsenal Mumbai Supporters Club) membership goodies for the year 2018-19. Like every year, it was filled with the best stuff ever. 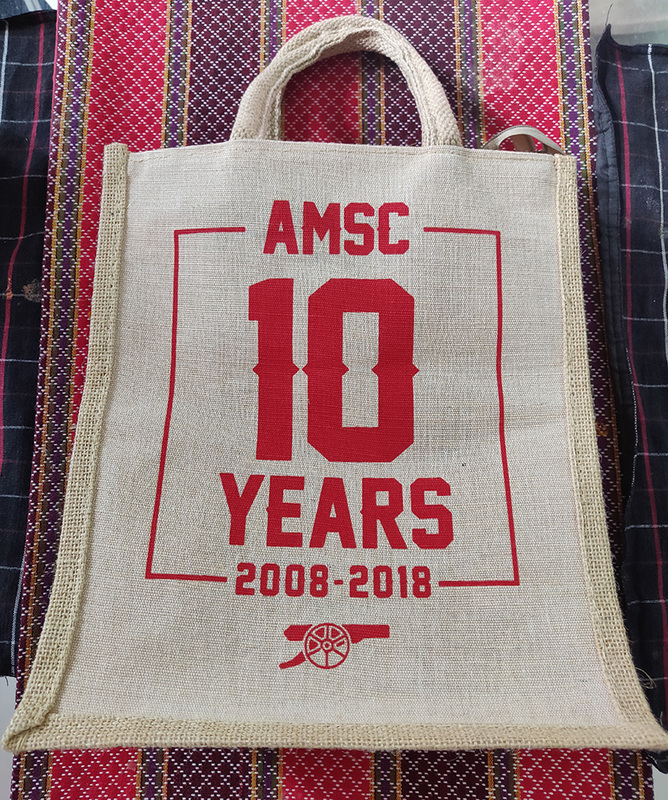 Two years ago, I got these awesome Arsenal merchandise. Last year, I didn't get the time to post it on my blog because I was busy attending my niece's wedding in Goa and Mysore, but I did get to post a live video of me unboxing the parcel. 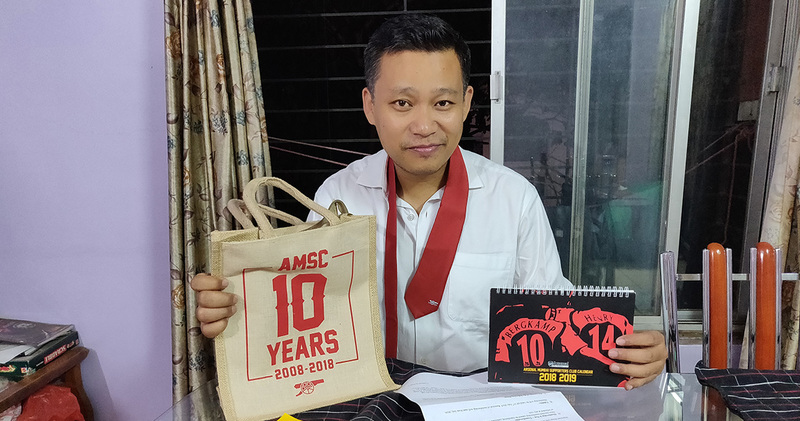 This is the 10th year since AMSC was created, and I am proud to have been a premium member for 7 of those 10 years, even though I have now moved to Pune from Mumbai. 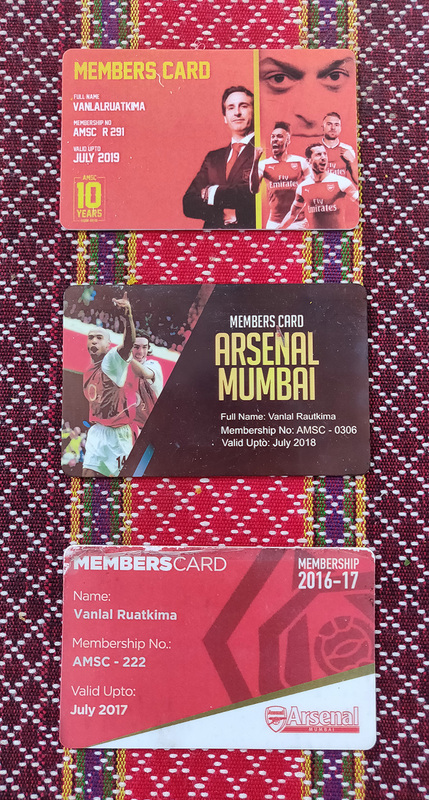 The only thing I dearly miss are the weekly match screenings in Mumbai where paid members get free entry and % discount on drinks. Cheering for Arsenal along with other Arsenal fans on a giant screen inside a pub booked exclusively for AMSC was definitely the best way to spend the evening. 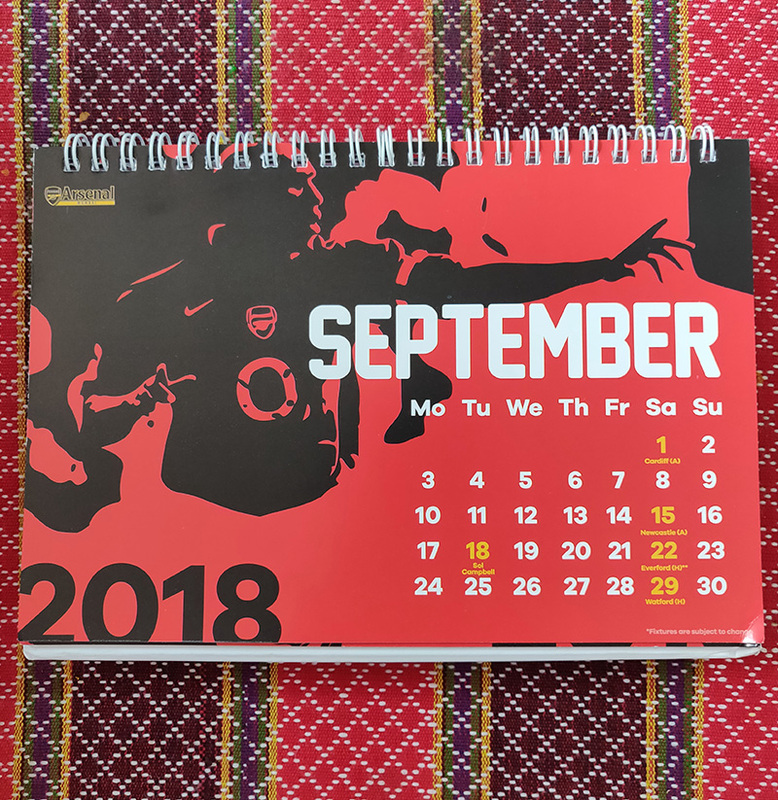 Like every year, the AMSC goodies this year too included the usual annual calendar, with Arsenal match dates and opponents clearly mentioned on all the months. 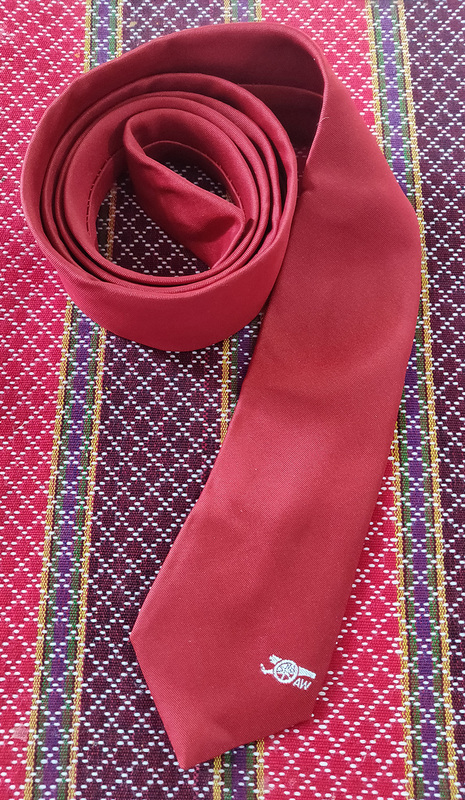 The next item was an Arsène Wenger signature neck-tie with the abbreviation "AW", as a tribute to what he had done for the club. Even though he may have a lot of haters, nobody can deny his record and passion for the club. You will be missed, Le Professeur. Salut. 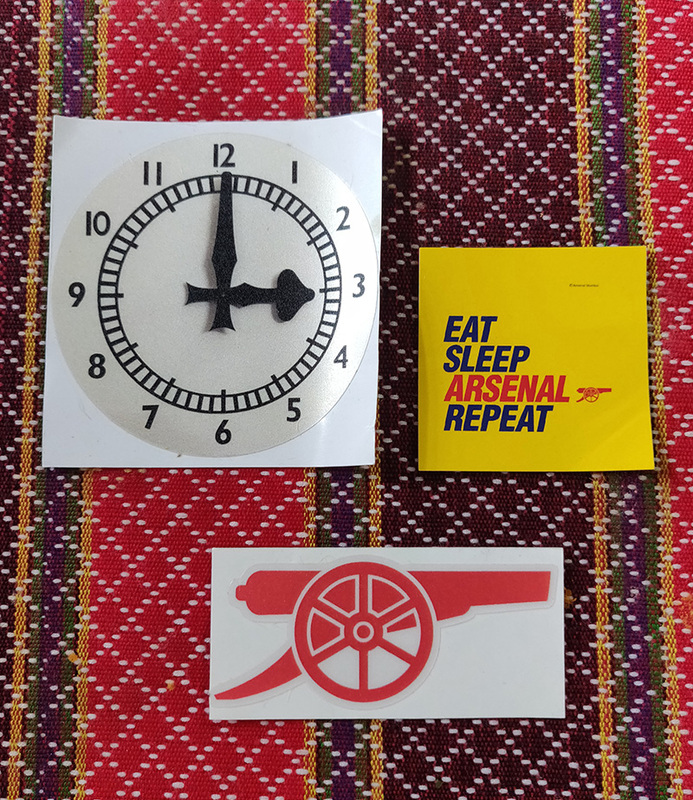 And then there were three cute stickers including that of the famous Arsenal clock at Highbury, which had been moved to Emirates Stadium to honor the glory days of Highbury. Chp 725. Lushai Hills Headhunters!